Nova Scotia is a province of Canada. Nova Scotia Provincial Nominee Program is one of the popular provincial programs of Canada. 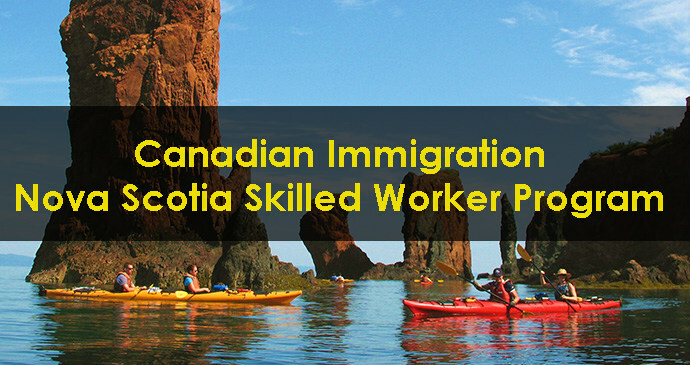 Today, we are going to talk about the Skilled Worker Program. The Skilled Worker stream allows employers to hire the foreign workers. According to the rules and regulations, an employer can recruit foreign labor if the permanent residents or Canadian citizens are unable to fill the positions. In few words, they can only hire people with the skills listed on the shortage list. 1 How to Become Eligible? At the very first, you need to get a permanent job letter from a Nova Scotia employer. The age of applicant should be 21 to 55 years. The applicant is required to hold a high school diploma. The candidate should have proper skills and training for the job. To prove your language abilities, you need to get equal marks equal to Canadian Language Benchmark (CLB) Level 5. Lastly, you need to declare the financial resources for getting settled in Nova Scotia. The candidates need to visit the official website and provide all the required information and attachments to apply. To improve the chances of your immigration, you are advised to apply through an experienced consultancy like us. At Immigration Experts, we run a brief check on your qualifications and only initiate if you can get immigration for sure. This is the main reason why our client satisfaction rate is almost 100 percent. If you want to try our free visa assessment service, you may send your CV at wecare@immigrationexperts.pk and we will respond back in two working days. Also, you can contact us through below provided contact information. Note: IELTS Classes has been started at Lahore office. You may contact Lahore office to get enrolled.